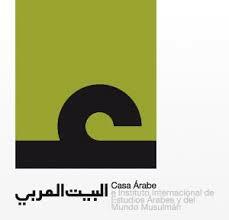 The Arab House and the Sefarad-Israel House have jointly forwarded the candidacy of the Israeli-Palestinian NGO Parents Circle-Families Forum for the Prince of Asturias Concord Award. "We are publishing today the joint communiqué of Casa Sefarad-Israel and Casa Arabe in which they advance the candidacy of The Parents Circle- Families Forum to the prestigious Prince of Asturias Prize of the Concorde. Regardless of the fact if the PCFF will or will not be distinguished with this award, the importance of this joint action cannot be exaggerated. We should be proud that the joint work of Israeli and Palestinian families to reach peace and reconciliation in our region has a tremendous psychological and political impact both on the Jewish and the Arab world. We hope that the Spanish initiative will show a trend which will be multiplied and spread worldwide. " "Madrid, 27 July 2009. The Arab House and the Sefarad-Israel House have jointly forwarded the candidacy of the Israeli-Palestinian NGO Parents Circle-Families Forum for the Prince of Asturias Concord Award. The two institutions have underlined that the approach of the PCFF to the conflict, which implies the support to the peace process, to the Arab Peace Initiative, the respect of human rights and the end of the occupation of the Palestinian territories, is of great originality and realism, as it promotes the mutual understanding and interaction, sharing the individual pain for the loss of the beloved in the conflict. The two institutions have also stressed that the PCFF is an organization of Israelis and Palestinians whose aim is the achievement of peace and reconciliation between the two communities, starting from the emotional experience of families that have lost their beloved family members in the conflict. The two institutions added at the presentation of the candidacy: through its educational activities, the PCFF is contributing to the necessary change in the perception of the conflict among Palestinian and Israeli youngsters,. The Arab House and the Sefarad-Israel House are part of the institutional network including also Americas House, Asia House, Africa House and the recently established House of the Mediterranean.